Searching frantically for a key might feel like looking for a needle in a haystack... no more frustration with our wooden key rack made of oak wood! 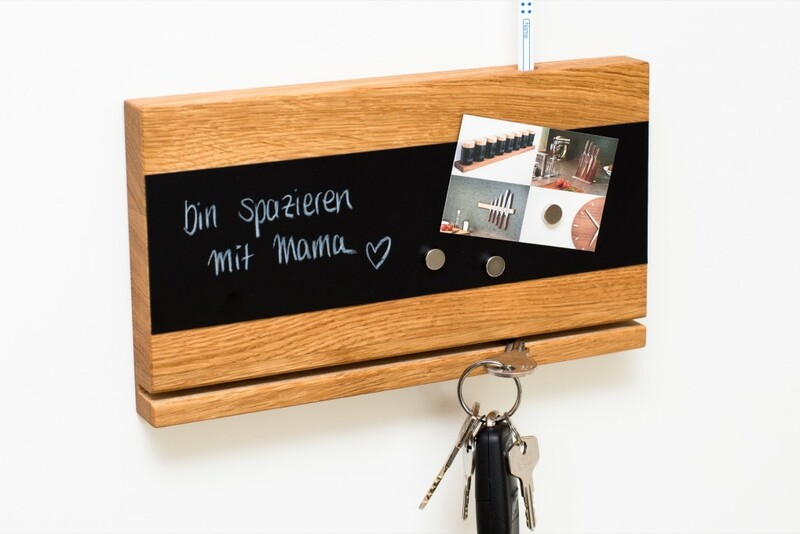 This key rack also features a magnetic strip for leaving messages or quick notes. 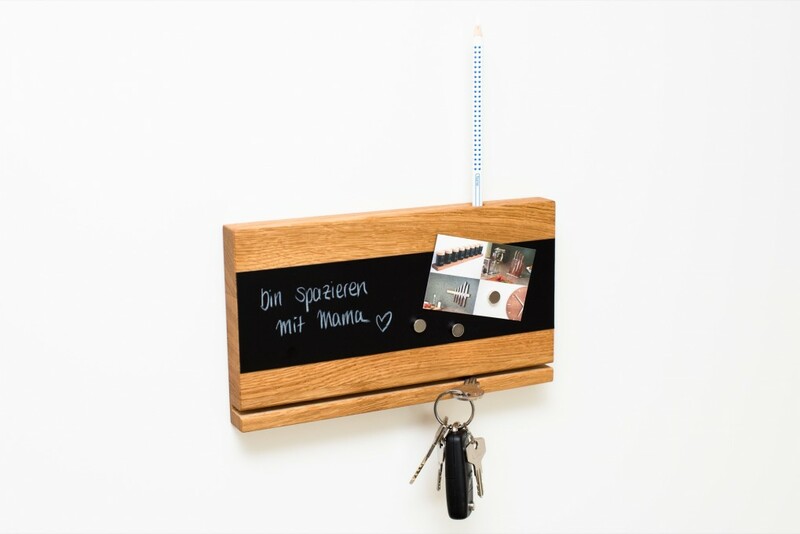 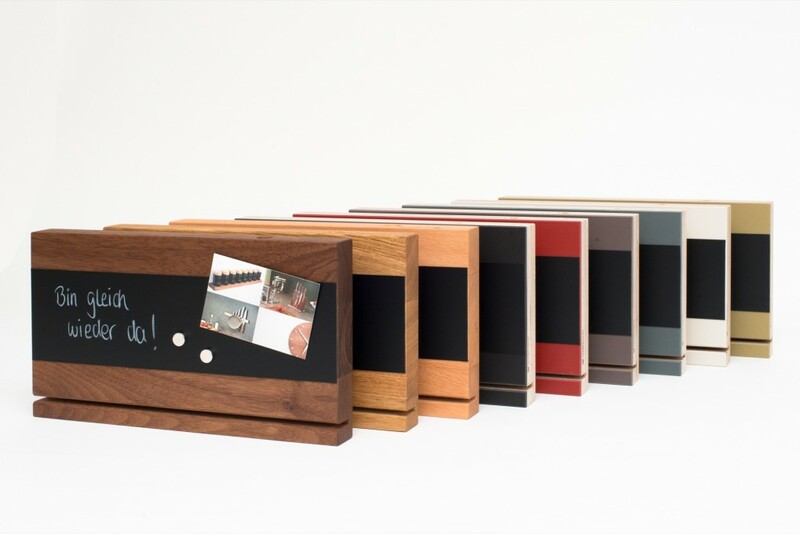 Our oak wood key rack holds your keys in place in a slot and you can easily scribble notes or hang cards on the magnetic strip. 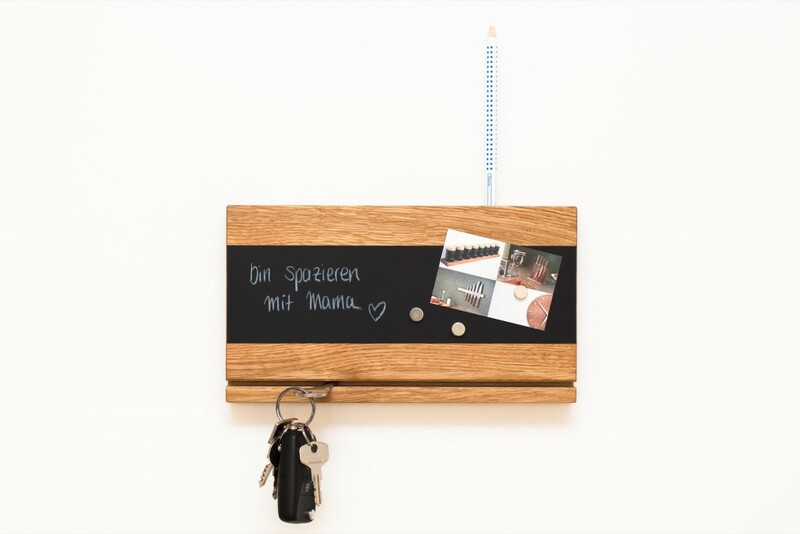 The key rack comes with a slot on top to store a special pencil.